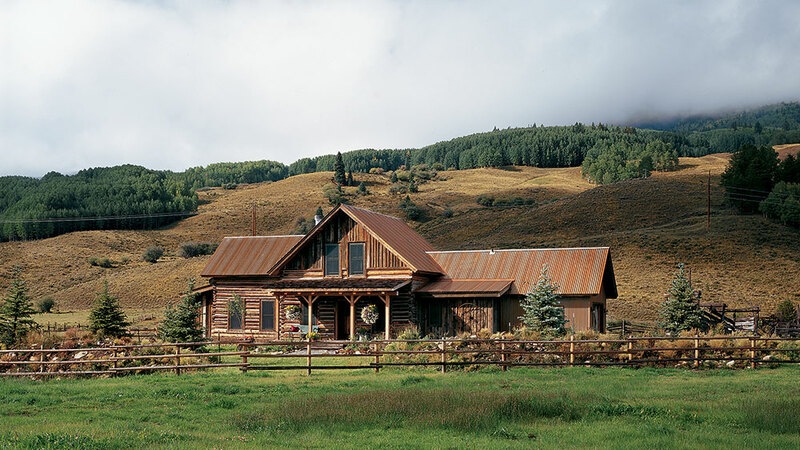 The beauty of building a log home is that the logs are simply a building material — not a pigeonholed style. And if you allow yourself, you can get quite imaginative with they way it looks. As you map out your log home, gather a portfolio of photos, both exterior and interior, that appeal to you, and spread them out. Group similar styles together. You’ll likely see a pattern emerge. Maybe you’ll find you’re partial to a long, low ranch or you appreciate the contemporary side of log home construction with a mountain-modern vibe. 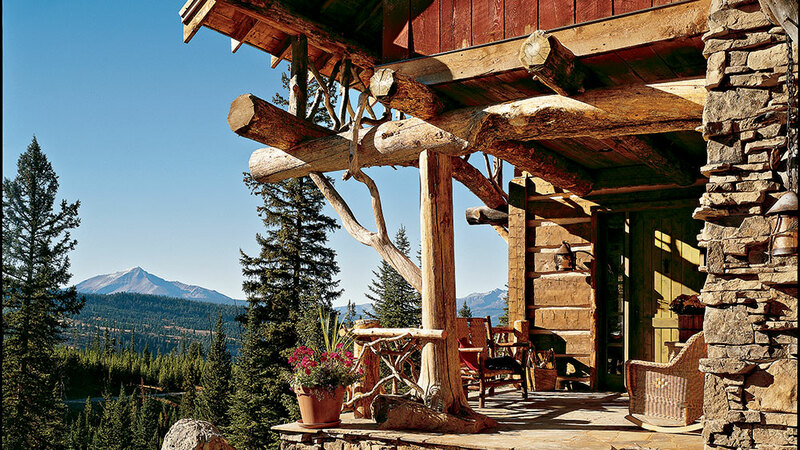 Use these benchmark examples to help you hone your log home’s style. One of the more recognizable housing styles, the ranch home is as American as apple pie. 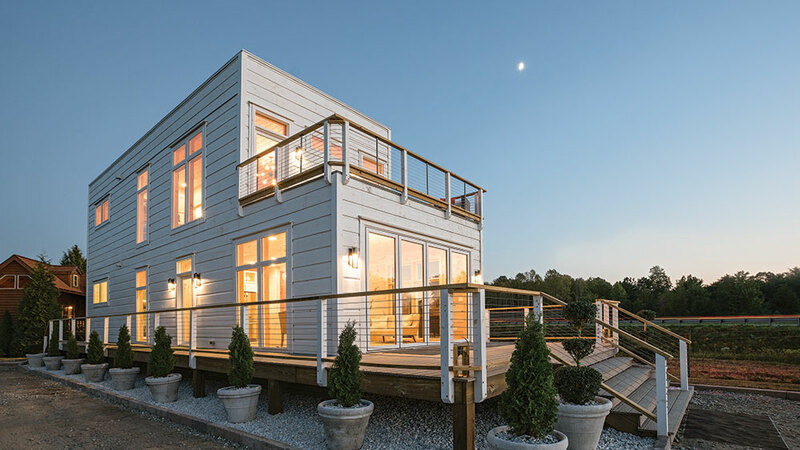 Single-story living is accentuated by a long, low roofline and straightforward floor plan. The design is also perfectly suited for those who want to age-in-place in their forever log home, as the lack of stairs make it easier to navigate as you grow older. Many people incorporate a walkout basement for storage or a loft for guest quarters, but the main living areas are all located on one level. The log farmhouse look can take several forms. A two-story facade with large gables and a wrap-around front porch is the classic homestead. It’s versatile, timeless and a favorite among log home devotees. There is also a “connected” style that gives the appearance the house was added onto over time. 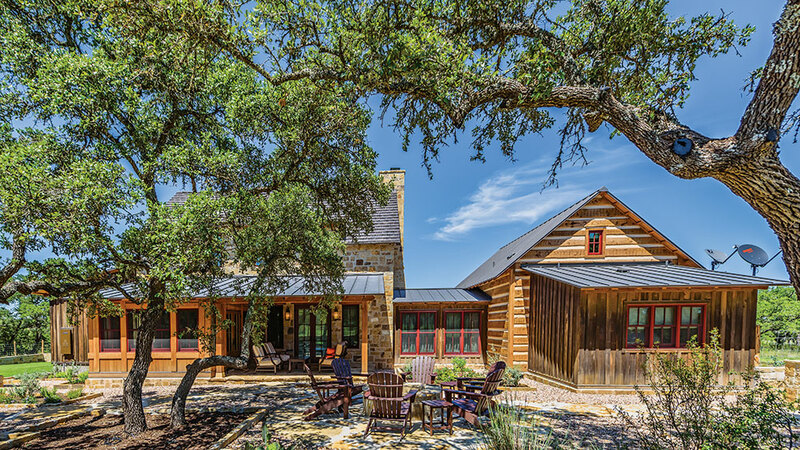 By using a variety of building materials like cedar shake, stone and even brick in distinctive segments, it feels as though generations have expanded it to accommodate the growing and changing needs of the family. Ranging from simple boathouse designs to the Great Camps, this style isn’t limited to the region from which it draws its name. If you like the rugged, highly textured log look, this is the style for you no matter where you live. Native materials, like stone and twig railings, are integral components of this classic log home architecture. Floor plans are somewhat compartmentalized (even detached outbuildings are common) with a grand gathering space at its core. Square-paned casement windows and a combination of steep-pitch and low shed rooflines round out the look. Rising from the growing interest in hybrid log-and-timber home construction, the “mountain modern” design option infuses classic, natural log elements with metal, glass and other more industrial architectural materials. Low, angular profiles and flat roofs are common traits, as are very open floor plans. These homes tend to be sleek and sophisticated rather than rustic and natural, yet they blend high style with their organic origins. Of all the styles, this is the one that most frequently comes to mind when you say the words “log home.” It’s classic; it’s timeless; and it’s rustic to its core. Square logs will give it a homesteaders’ appeal; round logs will lend a Scandinavian feel. 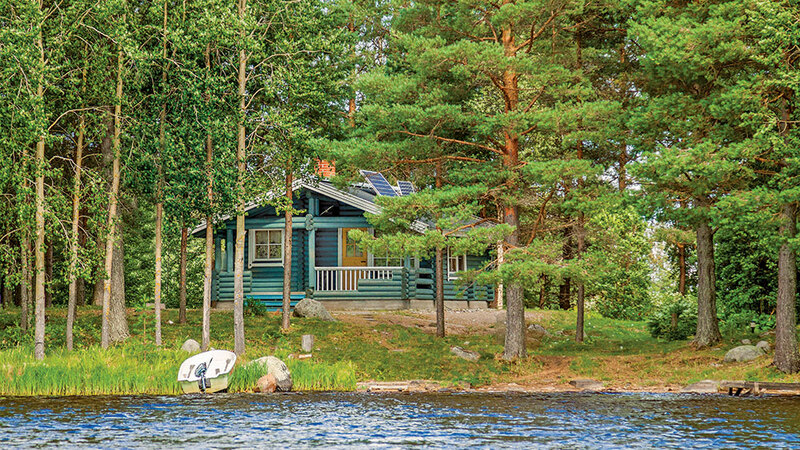 Either way, keep it small and cute as a button, and you’ll achieve the ultimate cabin in the woods.